Thanks for checking out my Recommendations Page! This is where I post products and services that I love to use in my garden. I only recommend things that I’ve researched and benefited extensively from using. If you have any questions, feel free to email me at [email protected]! I’m a big fan of starting many of my flowers and vegetables from seed. It’s much more cost-effective than buying individual potted plants, especially if you’re planning an extensive garden bed. SeedsNOW! is an amazing company that sells organic Non-GMO seeds for growing vegetables, fruits, herbs, and wildflowers and perennials. Their website is pretty informative, too. They help makes things easier for their customers by providing Growing Guides, a Seed Finder tool, a Grow Zone Lookup, Planting Calendar, and Sampler Packs. They also have excellent sales and product giveaways on a regular basis! 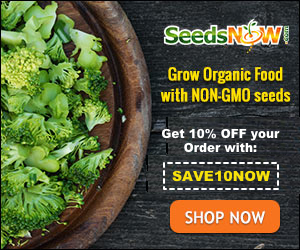 Save 10% off your order with the code below and head to SeedsNow to see their extensive collection. GrowJourney is a monthly subscription that sends you 5 seasonal varieties of 100% certified organic heirloom seeds every month. All their seeds are sourced from USDA certified organic farms, which means you’d be supporting organic farmers when you join! You can choose your subscription based on the size of your garden – there’s a small garden subscription (perfect for balcony and urban gardens) and a large garden subscription. Their seeds come in plastic baggies that can be stored for up to 5 years, and they include really helpful instructions like where and when to plant your seeds. Grow Journey carefully selects your seeds for you based on things like flavor, beauty, and hardiness. When you join, you also get access to their members-only resources which can help you succeed in growing your plants. Another awesome tidbit: they offer gift subscriptions! If you have people in your life that love to garden, a GrowJourney subscription would be an amazing Christmas or birthday gift. Liquid Kelp Natural Seaweed Fertilizer 32oz.